I haven’t posted a savoury recipe for a while, because there is always so much sweet going on. However, a few weeks back, when I needed to fix a quick lunch and had a pack of delicious mushrooms, a huge leek from the farm we order veggies from, some coconut milk that needed to be used, and a beautiful bunch of asparagus in the fridge, an appetizing recipe was born. 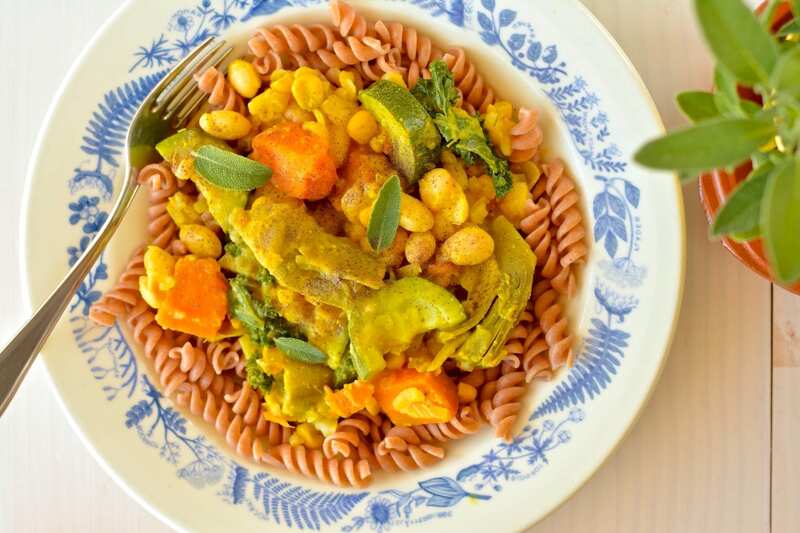 My husband and kid have requested it quite often since then and we have eaten it over spelt pasta, red rice, salad, and with chickpeas, red beans, white beans and red lentils. It’s delicious every time! Needless to say, I always create recipes that are whole food plant-based, i.e. oil-free, refined sugar free and refined flour free + in most cases also gluten-free as my favourite “grains” are buckwheat, oats, millet and quinoa. In some cases you can also find recipes that include spelt and barley (muffins, quick bread, brownies). Check out my blog post on How to Cook Oil-Free and Sugar-Free. 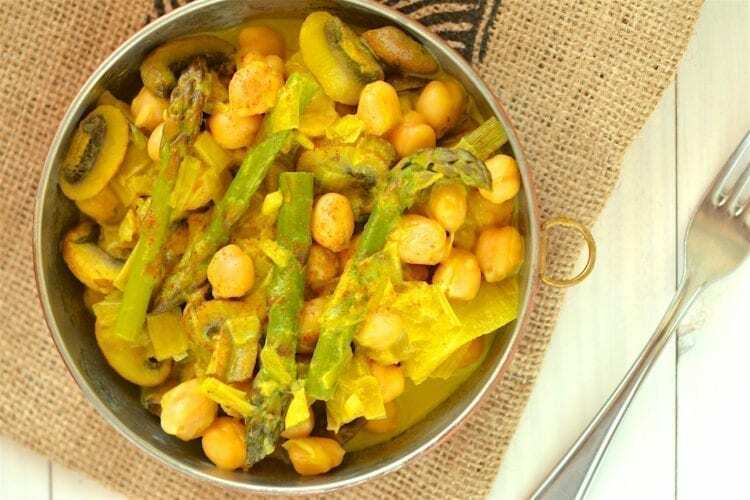 Anyhow, go ahead and make this whole food plant-based, oil-free and gluten-free asparagus-mushroom curry with coconut milk and chickpeas and you’ll stick to it (or to a variation of it). Throw leek slices, minced garlic, sliced mushrooms, salt, turmeric and curry powder into a saucepan and sauté with 2 tbsps. of water for 5 minutes stirring occasionally. While the other ingredients are sautéing, prepare the asparagus by snipping off the woody end and cutting the edible part into shorter sticks (or leave them long, as you prefer). When the 5 minutes is up, add asparagus and ⅓ cup of water onto the saucepan. Let simmer for 10 minutes. Stir in ½ cup of coconut milk and bring to boil. Now, if you see that the sauce is too liquid for your taste, pour in starch-water mixture stirring at the same time. Bring to boil again and turn off the heat. 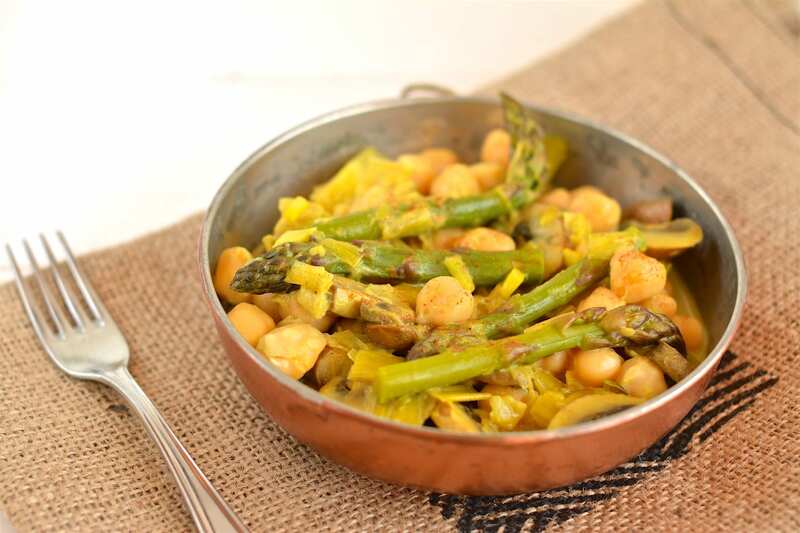 Sprinkle some nutritional yeast on top for cheesy flavour and group B vitamins. Serve it over whole grain pasta, rice, quinoa or buckwheat and have some lettuce aside. 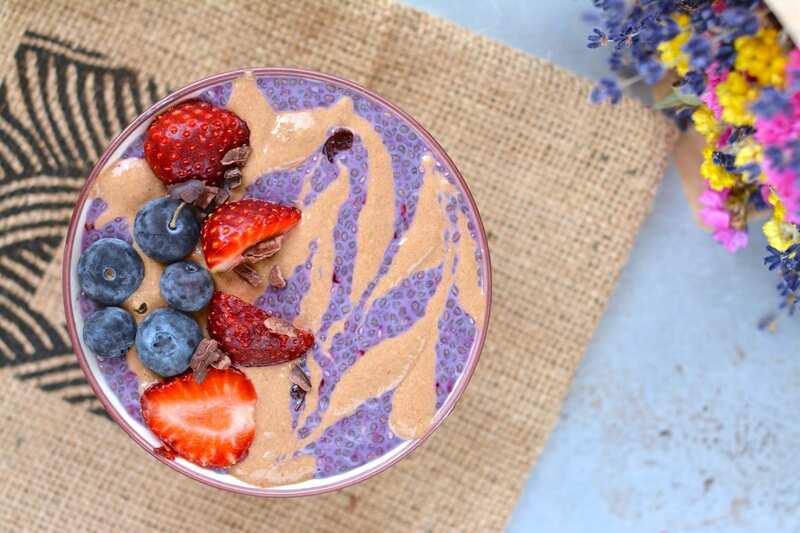 If you don’t like coconut milk or want to make the meal leaner, use any other plant-based milk, using ¾ cups of milk instead of water/milk mixture. If you want more sauce, just add more liquid (and more spice) and thicken it with starch.